Here it is! First page of a new comic! I had intended to post this….back when it was actually snowing…as it is this comic is a bit unseasonable, but I didn’t want to wait ’til it was cold again! I’ll be posting updates daily! Very cute. I like how her power is woven into everyday dialogue. 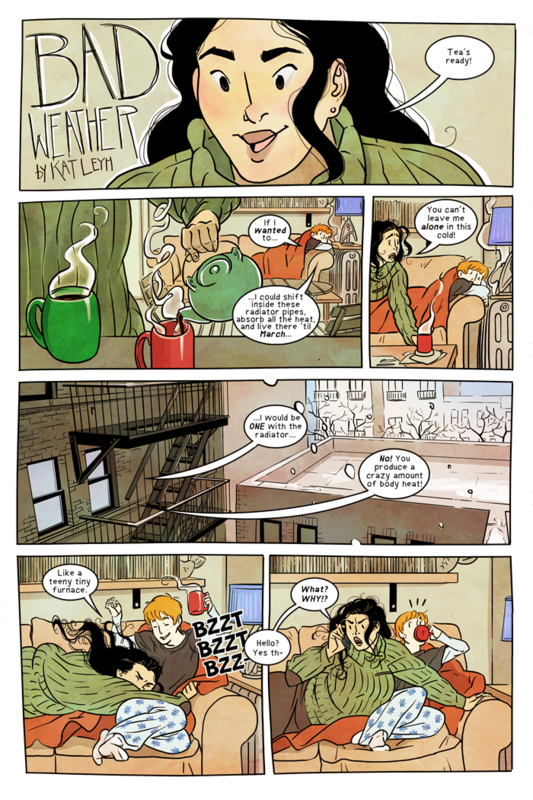 A new page! I’m so excited. This comic is so wonderful.